It's our turn to thank you for your impact! You put your heart and soul into teaching young people every day. Now it's time for you to have some fun and relaxation. Enter for your chance to win and choose a Virginia-themed vacation! 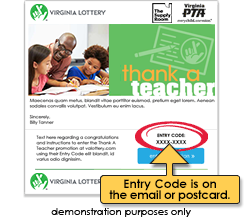 Enter now through May 17 for your chance to win. I confirm that I am an educator at my school. Teacher status will be confirmed upon win.